If you venture into a coffee shop in the coming months and see someone with a pair of futuristic glasses that look like a prop from “Star Trek,” don’t worry. It’s probably just a Google employee testing the company’s new augmented-reality glasses. On Wednesday, Google gave people a clearer picture of its secret initiative called Project Glass. 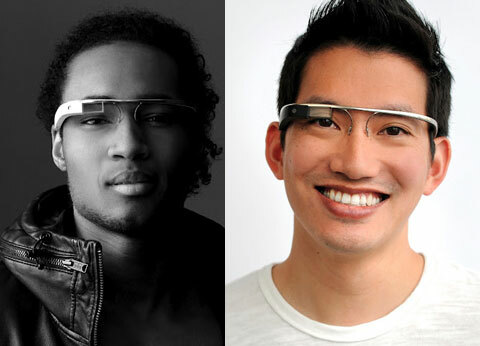 The glasses are the company’s first venture into wearable computing. The glasses are not yet for sale. Google will, however, be testing them in public. 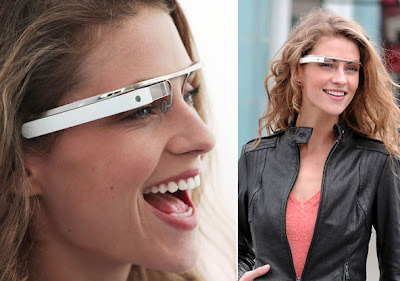 In a post shared on Google Plus, employees in the company laboratory known as Google X, including Babak Parviz, Steve Lee and Sebastian Thrun, asked people for input about the prototype of Project Glass. Mr. Lee, a Google product manager and originally worked on Google mapping software Latitude, mobile maps and indoor maps, is responsible for the software component and the location-based aspects of the glasses. The prototype version Google showed off on Wednesday looked like a very polished and well-designed pair of wrap-around glasses with a clear display that sits above the eye. The glasses can stream information to the lenses and allow the wearer to send and receive messages through voice commands. There is also a built-in camera to record video and take pictures. The New York Times first wrote about the glasses in late February, describing an augmented-reality display that would sit over the eye and run on the Android mobile platform. 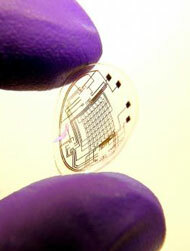 Project Glass could hypothetically become Project Contact Lens. Mr. Parviz, who is also an associate professor at the University of Washington, specializes in bionanotechnology, which is the fusion of tiny technologies and biology. He most recently built a tiny contact lens that has embedded electronics and can display pixels to a person’s eye. Early reports of the glasses said prototypes could look like a pair of Oakley Thumps — which are clunky and obtrusive sunglasses — but the version Google unveiled Wednesday looks more graceful. There are reportedly dozens of other shapes and variations of the glasses in the works, some of which can sit over a person’s normal eyeglasses. People I have spoken with who have have seen Project Glass said there is a misconception that the glasses will interfere with people’s daily life too much, constantly streaming information to them and distracting from the real world. But these people said the glasses actually free people up from technology. Project Glass is one of many projects currently being built inside the Google X offices, a secretive laboratory near Google’s main Mountain View, Calif., campus where engineers and scientists are also working on robots and space elevators.